For other persons with a similar name, see Stephen Cohen. Stephen Frand Cohen (born November 25, 1938) is an American scholar and professor emeritus of Russian studies at Princeton University and New York University. His academic work concentrates on modern Russian history since the Bolshevik Revolution and the country's relationship with the United States. Cohen is married to Katrina vanden Heuvel, editor of the progressive magazine The Nation, where he is also a contributing editor. Cohen is also the founding director of the reestablished American Committee for East–West Accord. Cohen attended Indiana University Bloomington, where he earned a B.S. degree and an M.A. degree in Russian Studies. While studying in England, he went on a four-week trip to the Soviet Union, where he became interested in its history and politics. Cohen, who received his Ph.D. in government and Russian studies at Columbia University, became a professor of politics and Russian studies at Princeton University in 1968, where he taught until 1998. He then taught at New York University until his retirement. He has written several books and is a CBS News consultant. During the Cold War, Cohen was critical of western hawks, but also of the Soviet government, which banned him from visiting the Soviet Union from 1982 to 1985. He supported the perestroika reform program of Mikhail Gorbachev. In his book War with Russia?, Cohen explains his suspicion that "At least one U.S.-Soviet summit seems to have been sabotaged. The third Eisenhower-Khrushchev meeting, scheduled for Paris in 1960, was aborted by the Soviet shoot-down of a US U-2 spy plane sent, some think, by 'deep state' foes of detente." Cohen has said that Putin's handling of the crisis in Ukraine—his annexation of Crimea and his support for rebel fighters in the east—was a reaction to the aggressive behavior of the United States and its allies, when they supported the overthrow of President Viktor Yanukovych. In a June 30, 2014 article in the left-liberal publication The Nation, Cohen criticized the US political-media establishment for being silent about "Kiev's atrocities" in the Donbass region. Cohen has also said that even if Putin's reaction was also aggressive, the US should now negotiate with Russia to avoid escalation of the conflict. Cohen has said that the United States continued the Cold War after the breakup of the Soviet Union in 1991. He cited President Clinton's backtracking on the promise of his predecessor not to extend NATO eastward and the flawed interpretation of an "American victory" and a "Russian defeat," which led U.S. leaders to believe that Russia would submit completely to American foreign policy. Cohen cites cancellation of the ABM Treaty in 2002 and refusal to admit Russia to the World Trade Organization at the G8 summit in Saint Petersburg in 2006. Cohen also criticizes the "pointless demonization" of Vladimir Putin as an "autocrat". In a July 2015 interview, Cohen said: "Even Henry Kissinger — I think it was in March 2014 in the Washington Post — wrote this line: 'The demonization of Putin is not a policy. It’s an alibi for not having a policy.' And then I wrote in reply to that: That’s right, but it’s much worse than that, because it’s also that the demonization of Putin is an obstacle to thinking rationally, having a rational discourse or debate about American national security. And it’s not just this catastrophe in Ukraine and the new Cold War; it’s from there to Syria to Afghanistan, to the proliferation of nuclear weapons, to fighting global terrorism. The demonization of Putin excludes a partner in the Kremlin that the U.S. needs, no matter who sits there." In a May 17, 2017 interview with Tucker Carlson, Cohen said: "You and I have to ask a subversive question: are there really three branches of government, or is there a fourth branch of government – these intel services?" and stated that a military alliance Obama had tried to establish with Putin against terrorism was "sabotaged by the Department of Defense and its allies in the intelligence services." Each of Trump's efforts to "cooperate with Russia" have been "thwarted [by] a new leak of a story." Cohen participated in a Munk Debate in Toronto, Ontario, Canada over the proposal "Be it resolved the West should engage not isolate Russia..." He and Vladimir Posner argued in favor of engagement, while Anne Applebaum and Garry Kasparov argued against. Cohen's side lost the debate, with 52 percent of the audience voting against the motion. In 2015, a proposed deal with the Association for Slavic, East European, and Eurasian Studies (ASEEES) for a fellowship that would bear Cohen's name caused controversy and was initially revoked after some ASEEES members objected to it. Following a special meeting in May 2015, the board of ASEEES explained that it voted in favor of accepting "the Cohen–Tucker Fellowship as named, should the gift be re-offered" and the establishment of the Cohen–Tucker fellowship programme was announced shortly afterwards. Also in 2015, Cohen and other intellectual colleagues reestablished the American Committee for East–West Accord, a pro détente advocacy group. Cathy Young characterized Cohen's 2014 article on "Kiev's atrocities" (mentioned above) as "error-riddled" and an "embarrassing" repetition of Kremlin propaganda. In a 2015 interview, Cohen said "[T]his notion that this is all Putin’s aggression, or Russia’s aggression, is, if not 100-percent false, let us say, for the sake of being balanced and ecumenical, it’s 50-percent false. And if Washington would admit that its narrative is 50-percent false, which means Russia’s narrative is 50-percent correct, that’s where negotiations begin and succeed." Some critics describe Cohen as a "Putin apologist" and anti-Ukrainian who denies the existence of Ukraine as a country and defends Russia’s military invasion of its neighboring countries. His views on Ukraine have been criticized by James Kirchick, Jonathan Chait and Isaac Chotiner as being pro-Putin and the Russian government which Cohen, in turn, has rejected. Historian Timothy Snyder disputed Cohen's claim that the Ukrainian prime minister described the government's adversaries as subhuman; Snyder wrote that the prime minister in a message of condolence to families of killed Ukrainian soldiers described the attackers as 'inhuman' and suggested that the origin of Cohen's claim was Russian media mistranslation of 'neliudy' as 'nedocheloveki' (subhuman). His views on US-Russian relations have been criticized by Julia Ioffe. Ioffe's assessment has been criticized by the former State Department official and journalist James W. Carden. Cohen's grandfather emigrated to the United States from Lithuania (then part of the Russian Empire). Cohen was born in 1938 in Owensboro, Kentucky where his father owned a golf course. He has a son and a daughter from his first marriage to opera singer Lynn Blair from whom he later divorced and second daughter with Katrina vanden Heuvel who Cohen married in 1988. He is a long-standing friend of former Soviet President Mikhail Gorbachev, advised former U.S. President George H. W. Bush in the late 1980s, and helped Nikolai Bukharin's widow, Anna Larina, rehabilitate her name during the Soviet era. War with Russia? From Putin and Ukraine to Trump and Russiagate, ISBN 978-1-5107-4581-0 Pub. 2019 (released November 27, 2018) by Skyhorse Publishing, Inc. Amazon shows this as a 'best seller' in Non-US Legal Systems as of December 8, 2018. Sovieticus: American Perceptions and Soviet Realities ISBN 978-0-393-30338-4 Pub. 1986 by W W Norton & Co.
^ University, Princeton. "Display Person – Department of Politics at Princeton University". www.princeton.edu. Retrieved 2016-08-04. ^ "NYU > Russian Slavic > Cohen, Stephen F." www.russianslavic.as.nyu.edu. Retrieved 2016-08-04. ^ "Stephen F. Cohen". The Nation. 2010-04-02. Retrieved 2016-08-04. ^ a b c Young, Cathy (July 24, 2014). "Putin's Pal". Slate. Retrieved November 2, 2015. ^ Cohen, Stephen F. (2019). War with Russia?. Skyhorse Publishing, Inc. p. 190. ISBN 978-1-5107-4581-0. ^ Cohen, Stephen F. (June 30, 2014). "The Silence of American Hawks About Kiev's Atrocities". The Nation. Retrieved May 22, 2016. ^ a b c d Kovalik, Dan (July 8, 2015). "Rethinking Russia: A Conversation With Russia Scholar Stephen F. Cohen". Huffington Post. Retrieved May 20, 2016. ^ a b Cohen, Stephen F (July 10, 2006). "The New American Cold War". The Nation. ^ Hains, Tim (May 17, 2017). "Princeton Russia Expert Stephen Cohen: Assault on President Trump from 'Fourth Branch of Government' Designed to Undermine U.S.-Russia Alliance against Terrorism". Real Clear Politics. Retrieved December 9, 2018. ^ "The West vs. Russia". Munk Debates. April 10, 2015. Retrieved May 12, 2015. ^ "ASEEES Board Statement Regarding the May 11 2015 Special Meeting Decisions". ASEEES. Retrieved 5 December 2017. ^ "ASEEES Announces Cohen–Tucker Dissertation Research Fellowship Program". ASEEES. Retrieved 5 December 2017. ^ "Mission Statement of The American Committee for East–West Accord". East–West Accord. Retrieved 26 January 2017. ^ a b Kirchick, James (June 17, 2014). "Meet the Anti-Semites, Truthers, and Alaska Pol at D.C.'s Pro-Putin Soiree". The Daily Beast. Retrieved November 2, 2015. ^ Chait, Jonathan (March 14, 2014). "The Pathetic Lives of Putin's American Dupes". New York. Retrieved November 2, 2015. ^ Chotiner, Isaac (March 2, 2014). "Meet Vladimir Putin's American Apologist". New Republic. Retrieved November 2, 2015. ^ Cohen, Stephen. "Stephen F. Cohen speech at June 16 2014: current situation in Ukraine and the anti Russia Lobby" (Video). YouTube. Russia Good channel. Retrieved 28 July 2018. ^ Ioffe, Julia (May 1, 2014). "Putin's American Toady at 'The Nation' Gets Even Toadier". The New Republic. ^ Carden, James. "What Julia Ioffe Got Wrong About Stephen Cohen". The American Conservative. Retrieved 24 January 2019. ^ "Amerikietis istorikas bando Vakarams įrodyti, kad gulagų era buvo "kitas holokaustas"" [Interview with Cohen – American historian is trying prove to the West that the gulag era was "another Holocaust"] (in Lithuanian). lrytas.lt. March 12, 2011. Retrieved May 12, 2015. ^ "Ms. vanden Heuvel Is Wed". The New York Times. December 5, 1988. Retrieved November 2, 2015. ^ Hayes, Nick (November 15, 2010). "Understanding U.S.–Russian relations: A conversation with Stephen F. Cohen". MinnPost. Retrieved May 22, 2016. The "State Anthem of the Russian Federation" is the name of the official national anthem of Russia. It uses the same music as the "State Anthem of the Soviet Union", composed by Alexander Alexandrov, and new lyrics by Sergey Mikhalkov, who had collaborated with Gabriel El-Registan on the original anthem. 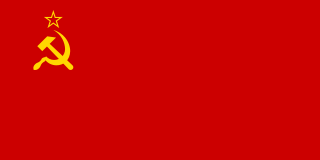 From 1944, that earliest version replaced "The Internationale", as a new, more Soviet-centric, and Russia-centric Soviet anthem. The same melody, but without lyrics mentioning dead Stalin by name, was used after 1956. A second version of the lyrics was written by Mikhalkov in 1970 and adopted in 1977, placing less emphasis on World War II and more on the victory of communism. "And you are lynching Negroes" and the later "And you are hanging blacks" are catchphrases satirizing Soviet propaganda's response to American criticisms of its human rights violations. Use of the phrases like these, exemplifying the tu quoque tactic, was an attempt to deflect criticism of the Soviet Union by referring to racial discrimination and lynching in the United States. Katrina vanden Heuvel is an American editor and publisher. She is the editor, publisher, and part-owner of the progressive magazine The Nation and has been the magazine's editor since 1995. She is often a commentator on various political television programs. Vanden Heuvel is a member of the Council on Foreign Relations, a US nonprofit think tank. She is a recipient of the Norman Mailer Prize. Neo-Stalinism is the promotion of positive views of Joseph Stalin's role in history, the partial re-establishing of Stalin's policies on certain issues and nostalgia for the Stalin period. Neo-Stalinism overlaps significantly with neo-Sovietism and Soviet nostalgia. Various definitions of the term have been given over the years. Today the Moscow Helsinki Group is one of Russia's leading human rights organisations. It was originally set up in 1976 to monitor Soviet compliance with the Helsinki Accords and to report to the West on Soviet human rights abuses. It was forced out of existence in the early 1980s, but revived in 1989 and continues to operate in Russia today.